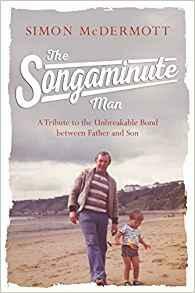 Simon McDermott has written a new book about connecting with his father, who has been diagnosed with Alzheimer's, through carpool karaoke. Their video, "Quando Quando Quando - Teddy Mac - the Songaminute Man," has gone viral and been viewed millions of times. Dellan Stokesbary spoke with Mr. McDermott by phone on September 12th about his book, "The Songaminute Man: A Tribute to the Unbreakable Bond Between Father and Son." They discussed the support he's received from the Alzheimer's Society and the need to share the experience with others who are going through the same situation. McDermott also shares that his mother is the rock of the family and has been there for her husband and son everyday coping with this illness.